Ultraman Orb has recently ended and the spin-off series is almost at its climatic battle and among that, a new Ultra Fight series also awaits Gai Kurenai. 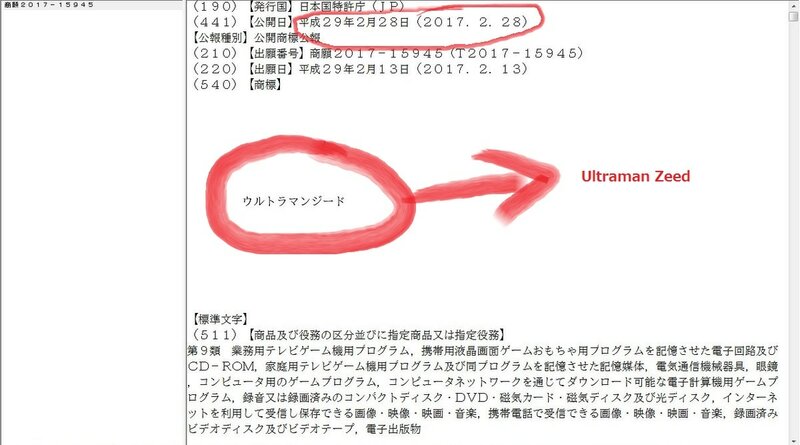 With that said, Tsuburaya has registered their newest Ultra series for 2017! 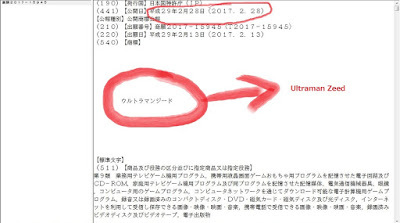 Entitled Ultraman Zeed (or maybe seed), the title for the Tsuburaya's new ultra series has been registered and trademarked last February 28, 2017. As for the gimmick itself, it is rumored that this year will be focusing on gem or precious stones instead of Spark Dolls and Fusion Cards. As usual, stay tuned for more upcoming information for this new Ultraman series. There's still life for the Ultra franchise after all. Why can't Ultraman go back to doing what they did better at than Kamen Rider: Storytelling instead of Merchandising? Ultraman Zeed/Seed starring Kira Yamato as he fights ZAFT/Zeed Alien Furries Terrorist. Because this is no longer 70s. Ultraman, alongside with other Toku shows is all about merchandising to gain fans and lovers.